A party invitation scheduled for Saturday, Feb. 9 held by fraternity Delta Psi Beta was distributed via Facebook last weekend to many students of the Grand Valley State University community. The catch? Delta Psi Beta is not a real fraternity and the rules outlined for the event were anything but tasteful. As GVSU continues to hold sanctions on Greek Life, including a ban on events with alcohol and suspension of chapter expansions, the Interfraternity Council (IFC) has been working to mend relations with the university and denounce the stereotypes surrounding Greek Life. "The individual behind the party sincerely desired his event to emulate the negative and insensitive stereotype (of a fraternity party)," said IFC Vice President for Public Relations Tyvin Whittaker. The type of stereotypes often cited in television and movies in regards to fraternities include heavy drinking culture and sexist undertones. Examples of this include Universal Studio's 2014 film 'Neighbors' which portrays a rowdy, drunken house of college men supposedly in the fraternity 'Delta Psi Beta'. The Facebook event being held by the supposed same 'Delta Psi Beta' fraternity included rules stating "when and doubt drink another" and used derogatory terms for the women expected to attend. The creator of the event had reportedly gone through the Greek Life recruitment process only to not be offered a 'bid' from the Alpha Sigma Phi fraternity. "The fact the persons involved had failed to receive a bid clearly show that their idea of what a fraternity does and is supposed to act like was not accurate or acceptable for GVSU Greek Life," Whittaker said. However, Whittaker does not believe the party was an attempt to harm Greek Life's reputation further at GVSU, but rather to emulate the frat party stereotype. Even so, the repetition of these stereotypes re-emerging are certainly not what Greek Life and the IFC need to see in order to lift their sanctions and improve community relations. Recently, the IFC met with Student Senate President Rachel Jenkin on working toward collaboration on outreach to students. 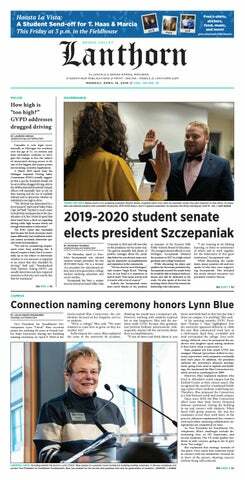 Senate's campus affairs committee is also working on creating discussions around the promoting of safer drinking habits with a plan to make recommendations to Greek Life in April. "I wanted to open the door so we could help each other with promotion, participation and hopefully now they see us as a constantly available tool to help them," Jenkin said. For the future of Greek Life, Whittaker hopes the sanctions can eventually be lifted and better solutions can be devised moving forward. As for the impostor frat party, while the Greek community quickly denounced the event, it has some potential to promote the same negative stereotypes that harm the future outcome of the ban. "As for the future of this ban and other impersonations, certainly, it would not be good if this sort of thing kept occurring," Whittaker said. "If the university is paying attention, they will see a community that holds itself up to a high standard and speaks up when we see something wrong. If anything, this incident speaks volumes for how seriously Greeks treat social events and the measures we go at to keep students safe."